Size of this PNG preview of this SVG file: 327 × 217 pixels. Ither resolutions: 320 × 212 pixels | 640 × 425 pixels | 800 × 531 pixels | 1,024 × 680 pixels | 1,280 × 849 pixels. This file has been superseded by File:Bandera de la Provincia de Buenos Aires.svg. It is recommended to use the other file. Please note that deleting superseded images requires consent. English: Flag of Buenos Aires Province. Español: Bandera de la Provincia de Buenos Aires. 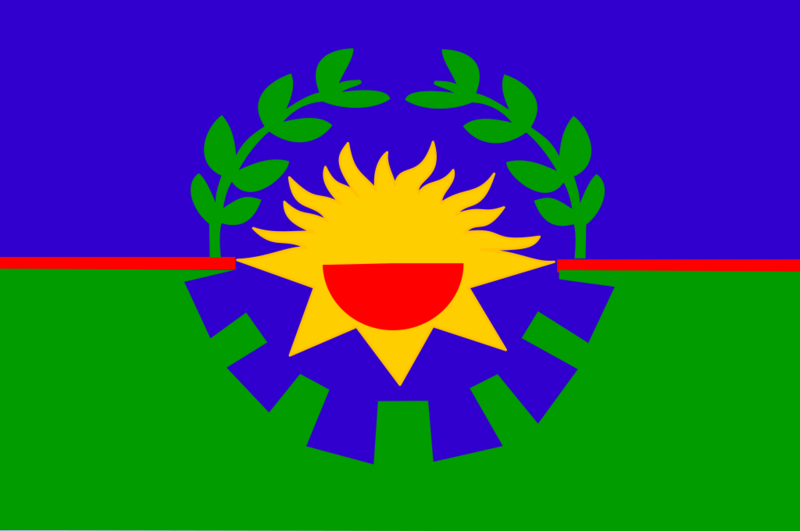 This flag was created with Inkscape, or something else. This work is in the public domain in Argentina as a law, decree, ordinance or sentence issued by an Argentine state authority or court and published on the Official Bulletin. Likewise, according to the Law 22,362, article 3, section f: "Letters, words, names, emblems and symbols used by the National Government, as well as the Provinces, Municipalities, Religious and Health Organizations", cannot be subject of copyright. The National symbols of Argentina are regulated by Decree Nº 10.302/1944. As an image regulated by an edict of a government, it is also in the public domain in the United States.